If you don’t have an effective system set up for the financial side of your business, you’re certain to run into problems, no matter how strong the rest of the business. Even if you’re a wizard at handling the financials, there’s always room for improvement. Let’s look at 5 ways you can get your company fighting fit and turn it into a lean, mean business machine. 1) Institute a proper financial management system and stick to it. 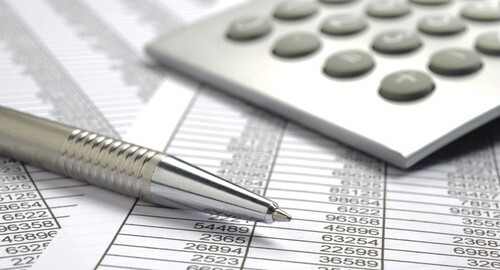 As a business owner, you need to know every aspect of your business finances inside and out. This includes budgeting and growth projections, cashflow, income and expenditure, outstanding invoices and more. If you’re using little besides basic spreadsheets to record your figures, consider upgrading to a dedicated accounting software package. This should save time and help you to keep track of everything by automating many daily inputting tasks and updating records in real time. 2) Seek professional advice where necessary. Even if you’ve got sophisticated accounting software in place, there will be times when you’ll need a professional set of eyes to scrutinize your records and offer advice. A professional accountant, financial planner or tax adviser will be able to save you time and money, so don’t neglect to hire one as and when your business requires. At the very least, you should be sure to have an accountant check your tax records on an annual basis. 3) Keep a close eye on your cash flow. Poor cashflow is one of the main reasons businesses get into trouble, and the main reason for poor cashflow is not being paid on time by customers and suppliers. If you’re regularly receiving payments late, set up a system of reminders with incremental penalties for non-payment, or offer discounts for those who pay early. You should always know exactly who owes you money, how much and when it’s due. 4) Make savings where possible. Keeping costs as low as you can without sacrificing quality will help keep your business competitive and improve your cashflow. As well as regularly checking expenditure costs such as utilities or postage, consider a quarterly review of areas where you could make savings. Start with those aspects of the business you spend most on – such as salaries, inventory or marketing – as you’re likely to make the biggest savings there. 5) Maximise your inventory performance. Under-performing stock that sits around on shelves is costing you money to store and may end up being written off or sold at discount. If your business relies on a large inventory, regularly check your turnover ratios to ensure you’re keeping only the best-sellers with high margins while slowly phasing out under-performing or low margin products. If your business needs a new financial fitness regime, start putting these tips into practice today. The sooner you start, the sooner you’ll see savings made, efficiency improved and profits increased.